Come along for the biggest craft fair yet in Ardagh Heritage and Creativity Centre from 12pm to 5pm on Sunday 18th March. 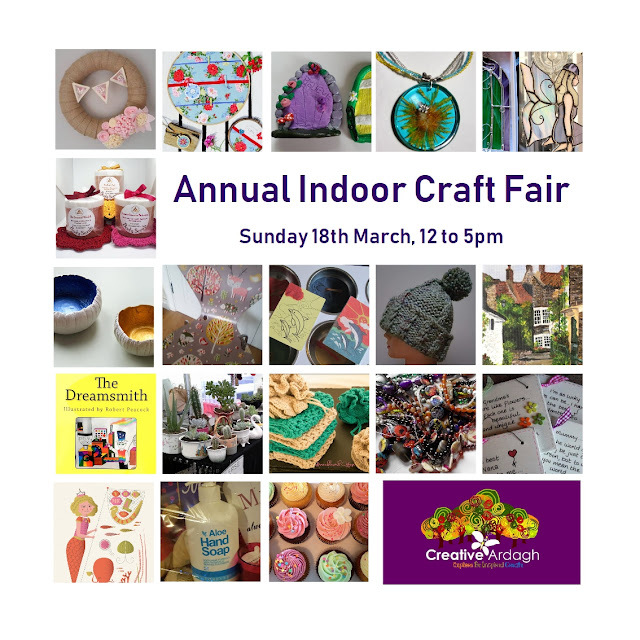 Lots of stalls with handmade crafts, books, cakes and art. Great variety of stalls and activities on the day including a reading by author Eileen Moynihan at 2pm, sand and fairy door art all day and the annual Leprechaun and Fairy Hunt with Creative Ardagh at 3pm.